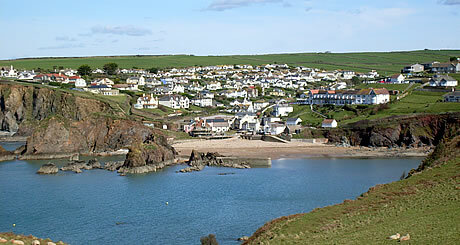 Hope Cove is a beautifully unspoilt small sheltered seaside fishing village located in the South Hams, Devon. Hidden away along some of the most picturesque coastline in the whole of the country, Hope Cove is a fantastic retreat for a holiday or weekend break, the perfect place to relax and recharge the batteries. 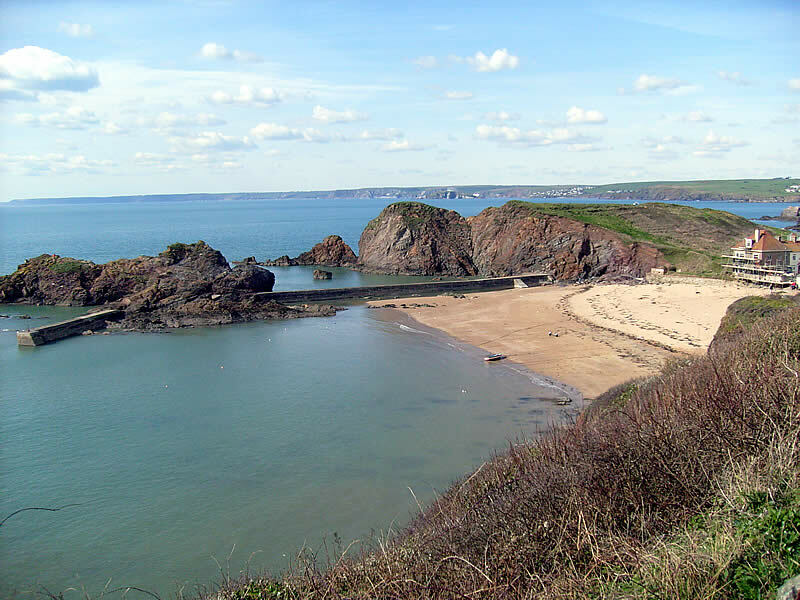 Hope Cove is locate on the South Hams coastal path and there are a number of walks around Hope Cove to explore as well as a very good pub, The Hope and Anchor Inn which provides food and accommodation. Although Hope Cove is accessible by road by far the best approach is along the coastal path from Bolberry Down on which you drop down into the cove as pictured above. 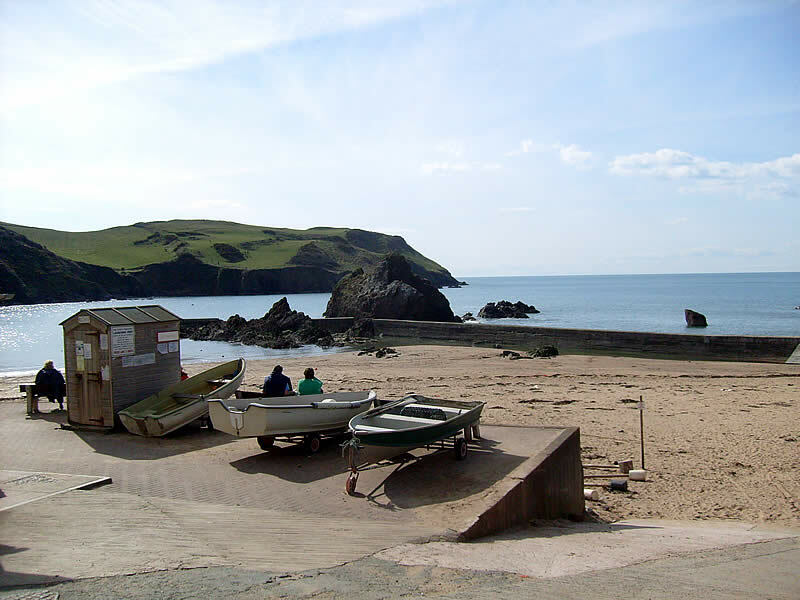 On reaching Hope Cove you are immediately greeted with a sheltered beach and bay in which the sea was extremely calm. 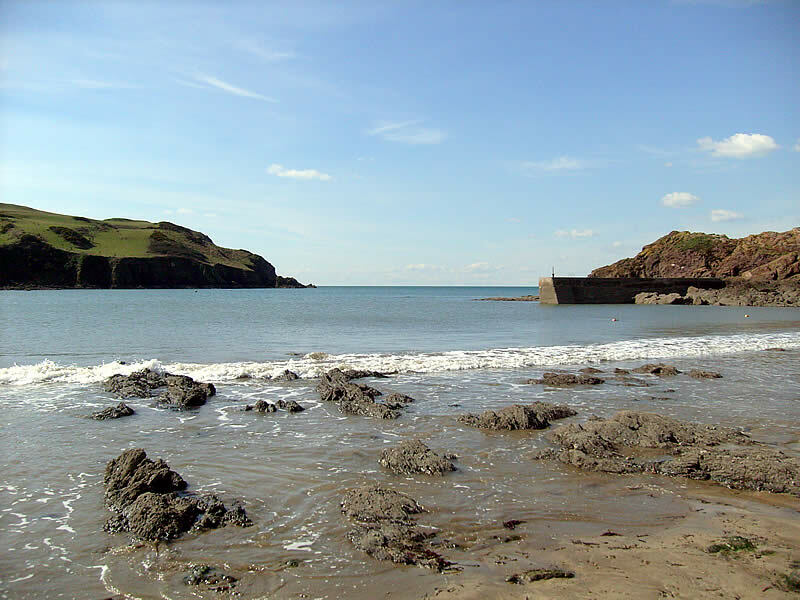 Hope Cove has many interesting facts to its name as it was the only place along the English south coast where the Spaniards managed to land during the Elizabethan period and the time of the Spanish Armada. 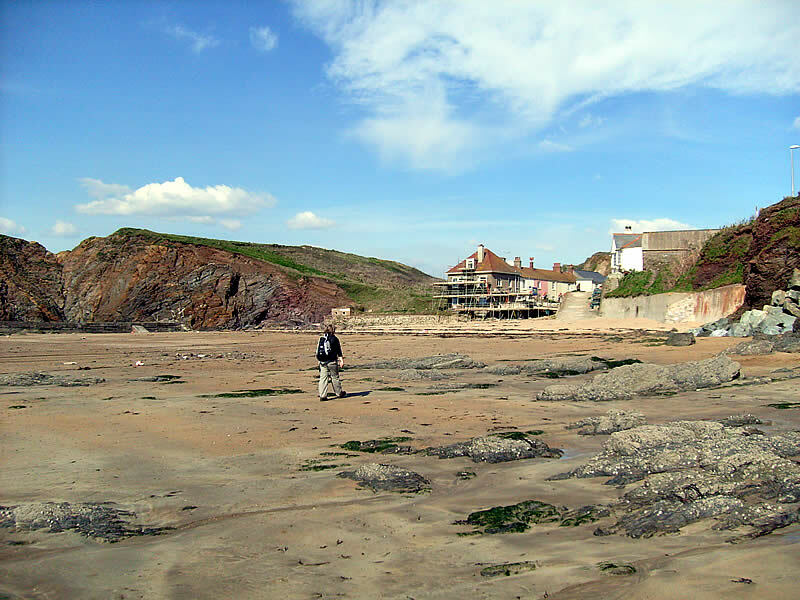 Fans of Channel 4's "Comic Strip Presents" will also recognise Hope Cove as being the location for the 1985 spin off film "The Supergrass" starring Adrian Edmondson as Dennis Carter and featuring Robbie Coltrane's unforgettable walk along the harbour wall to the tune of Frankie Goes To Hollywood's "Two Tribes" in rough seas. 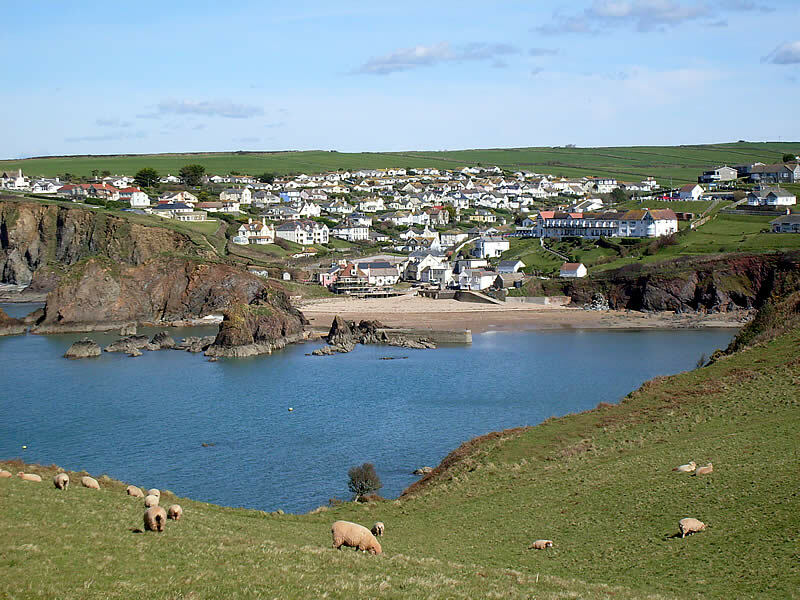 If you ever get a chance to visit Devon or the South Hams, then you must visit Hope Cove as it really is charming and one of the best locations along this stretch of the south coast. This entry was posted on Monday April 7th, 2008 at 5:04 PM and is filed under Places to Visit.You can follow any responses to this entry through the RSS 2.0 feed. You can leave a response. Being a big fan of the aforementioned film "The Supergrass", I visited Hope Cove about 4 years after the Movie was released. It's a charming little place and I enjoyed the visit. Am hoping to return in 2009. A really beautiful part of Devon and worth a stop. (I also walked the wall but it was a hot day and the sea was very calm). Nice to see the Movie mentioned. I used to work in Hope Cove in 1973, in a hotel called the Lobster Pot, which no longer exists. I was only there for a few weeks as personal circumstances meant I had to return home to Leicester. 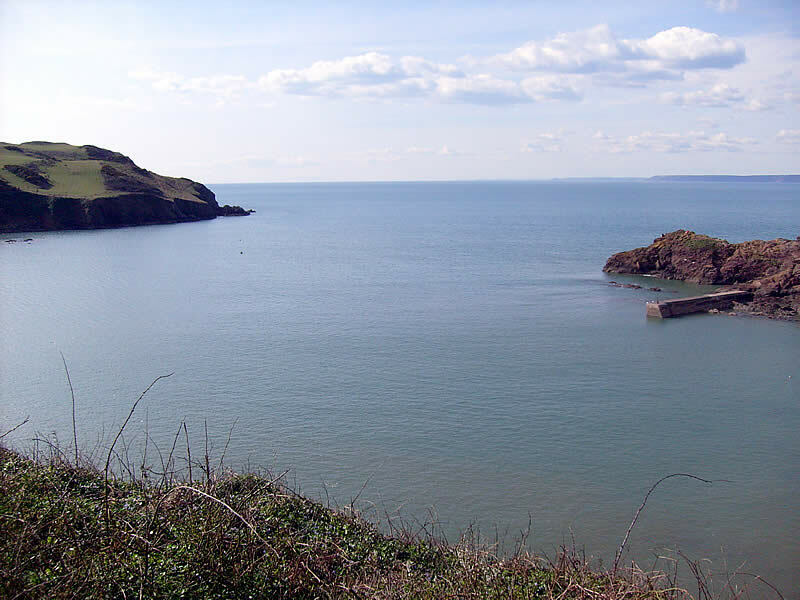 However I always loved Hope Cove and the surrounding area, and I remember the excitement I felt when The Supergrass was released and there was my beloved Hope Cove. I believe the harbour master there, better known to us as Fisherman John, was also seen in the film. I returned there in 2009, as a birthday present, and I still loved my Hope Cove just as much as ever, and am intending to return there again this year, when my new husband goes golfing to Portugal. Hope Cove will never lose it's charm for me, and I have just recently purchased all the Comic Strips series so I can watch The Supergrass once again.